The ex-apprentice electrician, from Wombourne, said his career path had given him a solid grounding for his new role, and urged others to take the apprenticeship route. Ben, who says looking after customers is the main priority in his new role, said: "I'd definitely recommend an apprenticeship, it's a great way to learn and get into the industry. "It's so useful to have a trade that you can add value to. We need more young people with the right skills in housing. As a site manager you deal with it all, right the way through the customer journey, including the groundwork, bricklaying, carpentry and plastering. "It's all so rewarding, and you learn something new in the housebuilding industry every day. When dealing with customers, you get to know people personally, I love that part of the job. "They see the plots at different stages, they can take photos and make their own portfolio. It's the little touches that count and I'm bringing a more personal touch to the role. "Buying a house is the biggest commitment people make and they know who you are and who your team is. They need to know you care and will answer any questions they have about the housebuilding process." Ben likes to run in his spare time and enjoys socialising with many different types of people at Molineux, where on match day he has met fans ranging from three to 97-years-old. 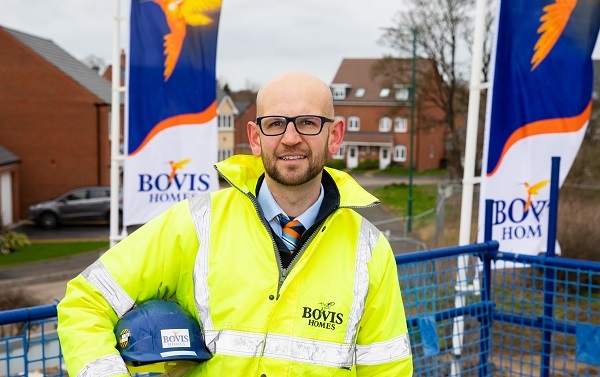 Joanne Morrison, regional managing director at Bovis Homes, said: "We are delighted to have promoted Ben to site manager at our Bowbrook Meadows location, and know he will bring great success to the development."